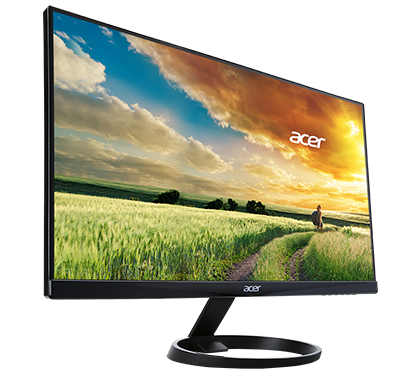 The Acer R Series 23.8 inch wide viewing IPS display shows every detail clearly and vivid without color difference from any viewing angle. 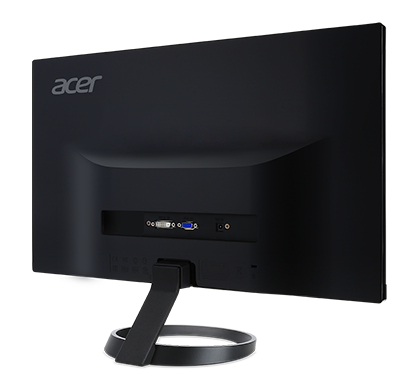 Its zero frame design puts no boundary on your visual enjoyment while the brushed hairline finish stand matches any environment. With Full HD resolution and superior 100 Million:1 contrast ratio you get detailed imagery for viewing photos, browsing the web and also makes viewing documents side by side easy. 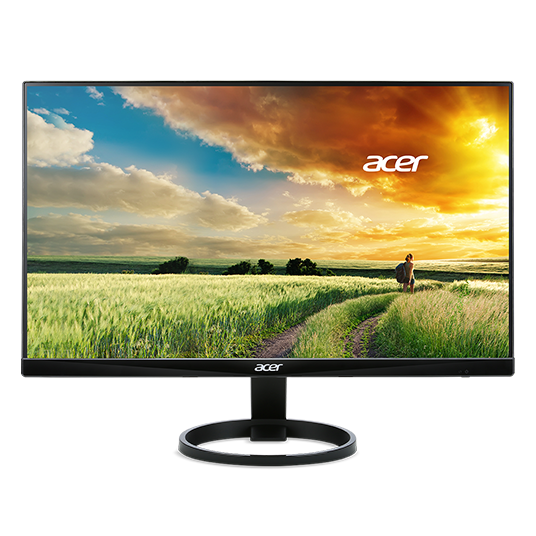 It also supports VGA, DVI & HDMI inputs so you can easily power and extend the enjoyment from your smartphone or tablet on Full HD display. What's more, this display features power-saving technologies to conserve cost and resources. 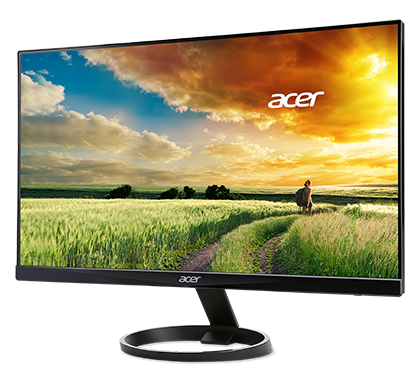 Diagonally Viewable Size 23.8 "
To Recieve updates and possible rewards for Acer R240HY bidx please sign in. To Recieve updates and possible rewards for Monitor please sign in.